Romeo and Juliet is one of the most-taught plays of Shakespeare, yet teachers are always looking for new and effective ways to make the material engaging and adaptable for all students—from those struggling to read to those able to analyze complicated sonnets. By using the concept of differentiated instruction, the book provides a practical, easy-to-use guide for teaching the play that addresses a wide range of student readiness levels, interests, and learning styles. 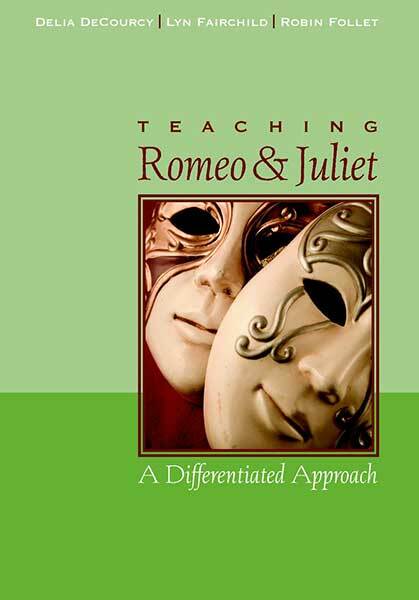 This differentiated approach helps students develop a deep understanding of Romeo and Juliet through activities such as cinematic interpretation, creative writing, dramatic interpretation, and Socratic discussion.